The following products are not all sold by IFOCDG. 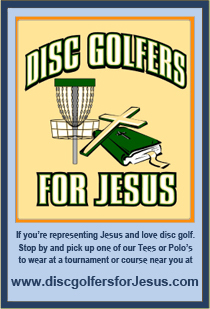 Many products are from other Christian disc golf campaigns around the world but all share a similar message. Disc golf needs Jesus Christ in it! God Bless!